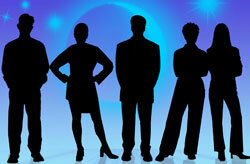 Virtual Staffing is a team of highly skilled SEO experts and online virtual assistants based in New Delhi, India. We have got expertize in the field of Internet marketing and website promotion. No cost for setup or equipment- You don’t need to invest in office space, computers, softwares and ISP. No staff benefit expense- You won’t have to bear any additional costs for employee insurance and leaves. No staff training expense- Our Virtual Assistants are well trained & experienced. No long term & financial commitments- You can hire your staff on your terms. Spend more time on expanding your business and leave all the daily time killer jobs for our VAs. Still not sure whether the virtual staff will be able to meet your expectations or not? 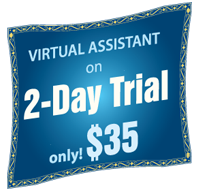 Before you hire a Virtual Staff from us, we will to give you the option to choose your virtual assistant now and try him for a period of 2-days, at a minimal cost of $35. During this trial period, you can test your virtual assistant by assigning regular works to him and see if he is capable of handling your workload or not. Once you are satisfied by the work of our virtual staff, you can hire him full time. Equipped with best SEO tools. What tools do our VA’s have? Why choose a VA from Virtual Staffing? Fill this simple form to get started.